This Christmas was extra special as it was my daughter’s first Christmas. We spend time at our separate families. At my husband’s grandparent’s sock party, we wanted to remember the activity of exchanging stuffed socks with goodies. There were over 30 people who were crowded into this small area trying to take a picture. The only way we could get everyone in a family photo was to get a Pano-shot, or panoramic. Of course being a millennial with an iPhone in front of the group shot, I was the first to be able to volunteer my services to this group picture. I got up, excluded myself from the group shot and took the photo. After it was done I heard at least seven people say “Let me see!” on top of others crowding around me to try to view it as well. With all of the commotion going on, I decided to pay attention to one of my elders only who had requested to view it. My great Aunt Gail was the closest to me after the photo was taken and she requested that I send it to her. I also had about 10 other folks asking to send it to them. Not having everyone’s contact information made that task more difficult for me. I had asked my aunt would she be able to send it to everyone if I sent it to her. Here is where time is critical: She requested that I sent it to one of her daughters instead as they had everyone’s contact number. This was a brilliant change of action! Aunt Gail wanted to make sure everyone had that special picture commemorating another wonderful memory however she didn’t want to put up with the task of sending it to at least 30 people. Maybe she wasn’t as tech-savvy or maybe she wanted to save her precious time to spend with her sisters. Either way, Aunt Gail requested that I sent the pictures elsewhere. I’m sure it got done because A) Mom’s direction is law B) I didn’t get anybody asking me to send the pictures after I announced the picture would come from Aunt Gail’s daughter. This is a very good lesson we can take heed in our business lives. Sometimes we don’t have time to do certain things, even though we may want to do them. That is why we hire other people to focus on doing those tasks so we can focus on what we do best. You may want to strategically plan what gets put on social media on what is written in a press release but your time may need to be securing more business opportunities or more sponsors. Having subordinates or interns can mean the difference of making an extra $50/month to making an extra $50,000/month, or more! Christmastime is my favorite time of the year. I love watching the old 1970 Christmas TV specials that come on each year such as one of the Rankin/Bass Productions’ classics: “Rudolph the Red Nose Reindeer”. As I watched it the first of December, it deeply resonated with me and with what is going on in society and how we can apply that to our brands. Rudolph was born with a red nose that can light up. His family was shocked and his father went to the extreme to cover his nose with dirt to avoid his son being different. As he made friends and was able to participate in reindeer games, his fake nose was exposed and Rudolph lost his friends. Even his girlfriend Clarice was forbade by her father not to hang around Rudolph. His nose was deemed a disability by society which made Rudolph sad enough to run away from home. From a personal perspective, this hit deep as I’ve seen many instances where the parents of one girl were told not to become too “friendly” to a boy of a different racial background. Being different isn’t always a bad thing and being around the same type of people can become boring. I’ve benefitted from diversifying my friends and the colleagues I’ve associate with as they come from different backgrounds and experiences. Those that are different from you can teach you more about yourself than any classroom. Now from a professional standpoint, brand managers can brainstorm ideas from watching this television special. Rudolph left home at a young age and returned when he was older. Those that were mean to him before apologized to Rudolph. Even Santa realized he could not delivery toys on Christmas Eve without Rudolph’s special ability. It is up to the brand managers and their marketing teams to understand how their product or service stands out in a sea of competitors. Could your company’s niche be attached to a trend that could go viral if pushed on social media? How can you best message your target audience that they cannot live without your product or service? These are good questions to ask yourself in preparation for any pushed message or campaign you will prepare for your company. A matter of national security derived from a movie made by Sony Pictures called “The Interview.” One movie! Ok let me back up. 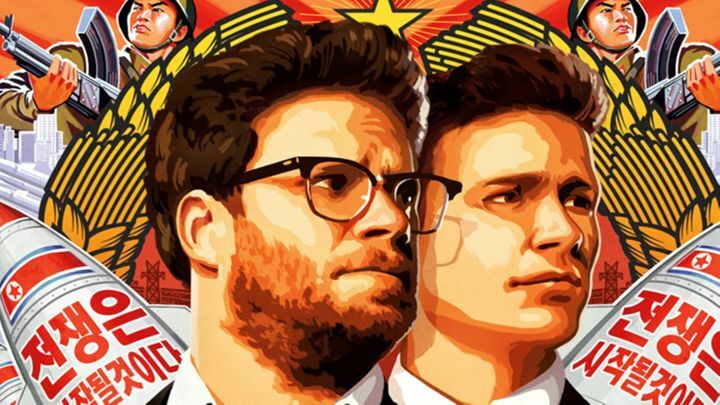 Sony Pictures created a movie called “The Interview” starring Seth Rogan and James Franco. The movie is a satire based upon the United States planning the killing of North Korea’s communist leader, Kim Jung Un. Of course the real Kim Jung Un, or at least his supporters anyway, didn’t find this very flattering. With the original release date Christmas Day 2014, a group calling themselves Guardians of Peace (GOP), hacking Sony’s private documents and emails the previous weeks leading to the release date. Several emails and social security numbers of Hollywood’s elite, including Angelina Jolie, Will Smith, Kevin Hart and even President Barack Obama. With the threat from GOP promising attacks on movie theaters showing the movie, many movie theaters decided not to show the movie. Sony eventually postponed the release on 12/25/14. President Obama even weighed in during the chaotic time, stating that Sony didn’t make the right decision postponing. I agree as it would set a terrible precedent in the industry. That means every other country could control how the United States conducted business by threatening to blow up a movie theater. With this plug from the most powerful leader on earth, Sony had a change of heart and decided to release the movie online right before Christmas. The movie made $15 million dollars! This is slightly below what the studio projected according to NPR. This movie had the best free publicity EVER! Say what you want. Never have I seen this much controversy over a movie about make believe. I’m sure this movie has millions of impressions in the multiple media outlets, blogs, and social media. You couldn’t ask for better publicity! Personally I have not seen the movie. I care much more about how this example will be used by other brands/studios/companies for their own benefit. It sure did help Sony. Now they just have to put part of the money made from this movie towards the paying Judy Smith (my fav!) do damage control from the humiliating internal information that is now public. Read her book “Good Self, Bad Self” by the way! It can be very helpful in a professional and personal setting. Given our relationship with North Korea, I think Sony could have avoided the threat of 9/11 – like attacks if they just did a surprise release. Not sure if it would have made as much money in the first week as oppose to the second week after North Korea would have had a chance to react. What do you think Sony could have done differently?